Good morning! I first saw the top picture over on Design Darling and thought it looked kind of cute. 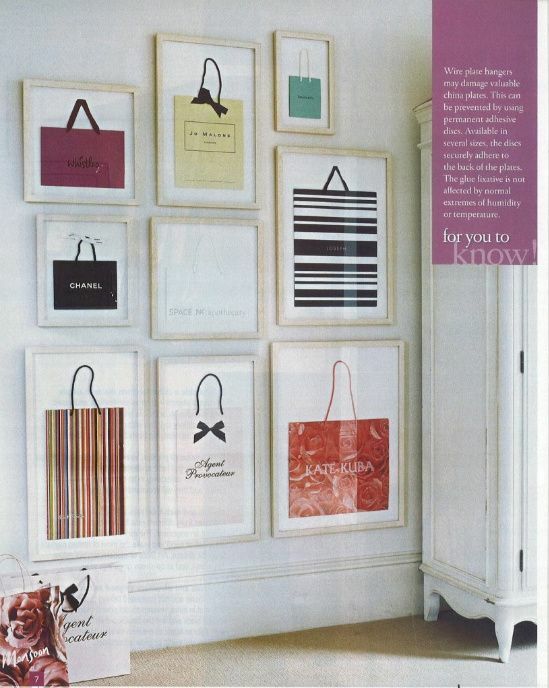 What do you think of framing shopping bags? What I am wondering is what retail establishment has the best design in the branding of the their bags because it certainly is not TJ Maxx..where most of my bags are from. 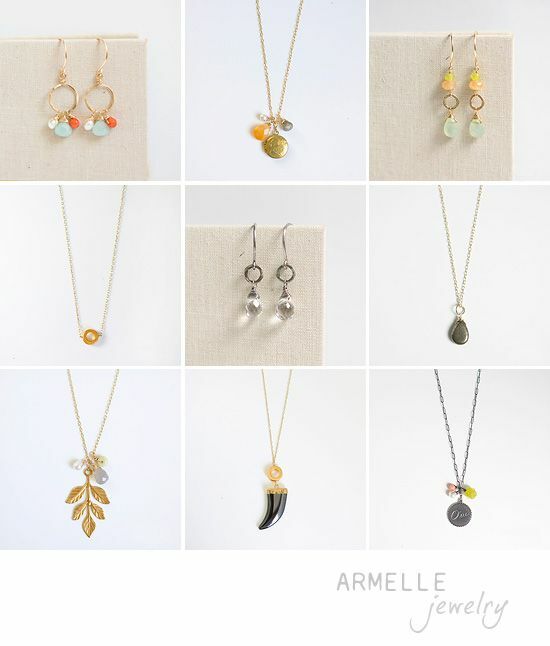 Speaking of shopping, I am pleased to pass along the offer to recieve 20% off anything from the Armelle shop until Jan. 1st. I am thinking this would be a great Christmas gift. Go here for a peak and don't forget to enter the code (HOLIDAY20) to get your discount. Beautiful pieces that Caroline makes I say. 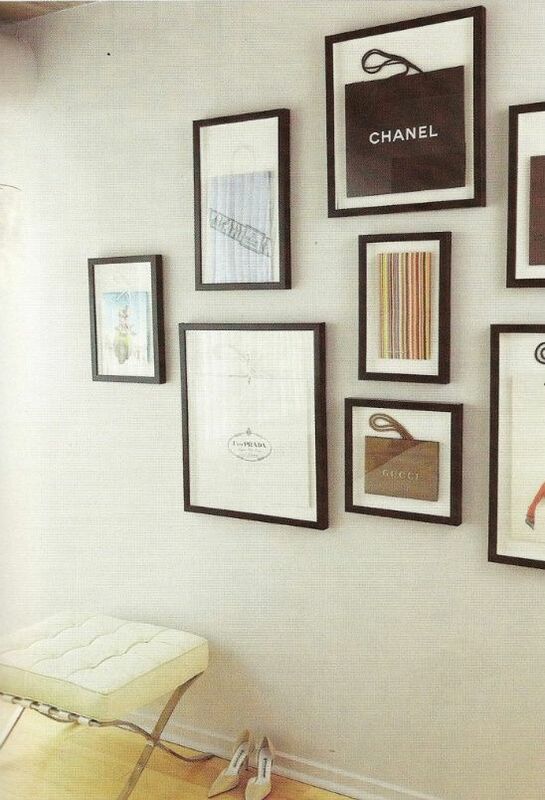 love the framed shopping bags. back when i was a teenager all my "cool" bags (read: Guess) went nailed to my bedroom walls. framing is stepping it up a bit! I really like the framed shopping bags. I think it's a fun idea and actually if I'm lucky enough to find an old Hudson's bag in my moms basement I'm going to frame it. I keep forgetting to ask her if she has one.